Virginia Beach. 49. Even though Forbes estimates her net worth has dropped from $2.2 billion to $1.9 billion since last year, the magazine ranked her No. 376 on this year’s list of the world’s billionaires. Johnson-Marquart inherited $1.5 billion after the 2004 death of her father, Samuel Curtis Johnson Jr., the great-grandson of the founder of SC Johnson & Son. She is president of the Johnson Family Foundation based in Racine, Wis. Foundation recipients include Cornell University, Norfolk Academy in Virginia and the Prairie School, a college prep school in Racine. Johnson-Marquart serves on the boards of the Norfolk Academy and Johnson Financial Group, an international services company with offices in Wisconsin, Arizona and Switzerland. Virginia Beach. 82. The retired chairman and CEO of what is now known as Landmark Media Enterprises LLC continues to make headlines as a philanthropist. Batten plans to donate $20 million to help build a $50 million library in Norfolk. The Frank and Jane Batten Foundation also made a donation of up to $70 million to Culver Academies, the Indiana military boarding school Batten attended in his youth. In addition, the Battens gave $3 million to Hollins University for the Batten Leadership Institute, created in 2002. Hollins is Jane Batten’s alma mater. Frank Batten, former publisher of The Virginian-Pilot and The Ledger-Star in Norfolk, was recognized by the Virginia Press Association in March with a Lifetime Achievement Award. Forbes ranked Batten’s wealth at $1.7 billion this year, about 30 percent lower than last year’s estimate of $2.4 billion. McLean. 59. It’s been a tough year for The Carlyle Group, one of the world’s largest private equity firms. It suffered losses with the bankruptcies of Hawaiian Telcom Communications Inc. and energy-trading company SemGroup LP. But the firm, which manages more than $85.5 billion across 66 funds, says it’s making money for investors and is involved in a number of potentially big deals. For example, Carlyle is part of a group bidding for International Lease Finance Corp., an aircraft leasing business held by troubled insurer AIG. Conway is a founding partner and managing director. He and his wife are active philanthropists through their Bedford Falls Foundation. Major benefactors include So Others May Eat, an organization that assists the homeless. Forbes dropped Conway’s net worth from $2.5 billion to $1.4 billion, putting him No. 522 on the 2009 list. Vienna. 62. D’Aniello, also a founding partner and managing director of The Carlyle Group, supports young entrepreneurs at his alma mater, Syracuse University. He funds the D’Aniello Entrepreneurial Internship Program, which offers internships with executive entrepreneurs to top students at Syracuse’s Martin J. Whitman School of Management. In April, D’Aniello received the 2009 Martin J. Whitman Distinguished Service Award for his contributions to the school. Carlyle suffered setbacks recently, including cutting staff by 10 percent. At press time, the firm was reportedly part of a group interested in buying BankUnited Financial Corp. D’Aniello is an active political donor to Republican causes. He contributed $3,000 to the Defend America PAC in June 2008 and $28,500 to the Republican Senatorial Committee in September. Forbes dropped his wealth ranking this year by more than a billion, from $2.5 to $1.4 billion. The Plains and Arlington. 59. The CEO of Salamander Hospitality LLC oversees a growing portfolio of luxury properties. However, Johnson has delayed opening her 168-room luxury resort, Salamander Resort and Spa in Middleburg, by at least a year to avoid opening in the midst of the recession. The resort was expected to open in spring 2010. Johnson also owns Innisbrook Resort and Golf Club in Palm Harbor, Fla. She is the first African-American woman to have a stake in three professional sports teams — the Washington Wizards (NBA), Washington Capitals (NHL) and Washington Mystics (WNBA). Johnson also is a global ambassador for CARE, whose mission is to fight poverty. She is chairman of the board of governors of Parsons The New School for Design, where she donated $7 million for the Sheila C. Johnson Design Center. She also serves on the boards of VH1 Save the Music, Americans for the Arts, the Curry School of Education Foundation at the University of Virginia and the Tiger Woods Foundation. Crystal City and Washington, D.C. Robert H. Smith, 80, and his brother-in-law, Robert P. Kogod, 77, serve on the board of directors of Vornado/Realty Trust, the largest commercial property landlord in New York and Washington. Smith also is chairman at Vornado/Charles E. Smith Commercial Real Estate, a dominant landlord in Crystal City. In November, then-President George W. Bush awarded Smith the National Humanities Medal for his philanthropy. Smith recently helped underwrite an archaeological survey of James Madison’s Montpelier plantation in Orange County. Kogod serves on the board of directors of the District of Columbia College Access Program. Both men have contributed to Democratic candidates, including $30,800 donated by Kogod to the Obama Victory Fund in October. Last year, the Smith and Kogod families pledged $10 million to renovate the Charles E. Smith Center at George Washington University. Norfolk. 50. While the recession has delayed Batten’s plans to sell his family’s communications company, Landmark Media Enterprises LLC, he did sell its biggest asset. The Weather Channel fetched a reported $3.5 billion from buyers NBC Universal, Bain Capital and the Blackstone Group. Landmark pulled other assets off the market to wait for better credit conditions. Batten’s decision to place the $2 billion, privately owned company on the market last year is symptomatic of the struggle by newspapers to survive in a climate of declining advertising revenues and circulation as the younger generation looks to the Internet for news. Batten and his wife, Aimee, are following in his parents’ philanthropic footsteps. From 2001 to 2006, the Aimee and Frank Batten Jr. Foundation donated $45 million to predominantly Christian organizations. In 2007, the foundation made $7.7 million in contributions. McLean. 50. The co-founder and former chairman of America Online is making a name for himself in the health-care industry. Revolution Health, the online health-information company owned by Case’s Revolution LLC, agreed to a $300 million merger with Waterfront Media last fall, and Case joined Waterfront’s board of directors. The new company operates under the name Waterfront Media, with Revolution Health folded into Waterfront’s online health site, Everyday Health Network. Since the merger, Everyday Health has surpassed WebMD to become the top online consumer health space. In March, Case was inducted into Junior Achievement’s U.S. Business Hall of Fame. He and wife, Jean, devote much of their time to The Case Foundation, which supports numerous philanthropic pursuits. McLean. 47. Hunt is chairman, president and CEO of the Rodney P. Hunt Family Foundation, based in McLean. He started the foundation in 2003 to help at-risk children receive support, leadership and mentorship. The organization’s partners include The Perry School in Washington, D.C., Browne Academy in Alexandria and the Progressive Christian Academy in Camp Springs, Md. The foundation has an annual scholarship program at Johnson School of Business at Cornell University. Hunt sold his company, RS Information Systems Inc., last year to Wyle, a Southern California company that specializes in aerospace engineering. Fredericksburg. Carl Silver, 82, the founder of the Silver Cos., is no longer involved in day-to-day operations after turning over the reins to his son, Larry Silver. The national credit crunch has delayed plans for a big addition to the Silvers’ 2,400-acre Celebrate Virginia complex in Fredericksburg and Stafford County. Wisconsin-based Kalahari Resorts has been unable to obtain financing for a $250 million water park announced last year. Nonetheless, Kalahari officials say they still plan to build the resort. (See page 55.) At build-out, the Celebrate Virginia complex is expected to include more than 11 million square feet of commercial, residential and entertainment space. The Silver Cos. also is developing a corporate center near the Quantico Marine base. When complete, Quantico Corporate Center is expected to offer 1 million square feet of office space. The Silver Foundation donates to many local charities, including the Rappahannock United Way, Boys & Girls Clubs and American Red Cross. McLean. 58. By his own preference, Fairbank has not received cash compensation as chairman and CEO since 1997, preferring to be paid in options or performance-based shares. Now he faces added restrictions because the McLean-based company was asked to sell preferred stock to the federal government as part of the U.S. Treasury’s Troubled Asset Relief Program. Fairbank cannot sell or transfer shares received under equity awards until the company repays $3.6 billion in TARP money or one year after he retires. In May, Capital One announced plans to sell 56 million shares to pay back the TARP money. 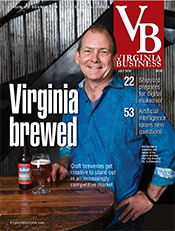 Earlier this year, the company cut its dividend by 87 percent and laid off some Virginia employees. Despite the industry’s problems, Capital One acquired Bethesda, Md.-based Chevy Chase Bank for $520 million. Fairbank is a partner in Washington, D.C.-based Lincoln Holdings LLC, a partnership that owns several professional sports teams along with other investments. Fairfax. 73. ManTech International is one of the few companies able to show growth in the doldrums of the recession, even if analysts expected the first quarter revenue to be higher. Revenue was up 6 percent for the quarter, while profit was up 23 percent. In 2008, the company was buoyed by purchase of Emerging Technologies Group in August and EWA Services in November. Pedersen is CEO, chairman and co-founder of ManTech, which started with a single U.S. Navy contract. He’s a political donor, but not a strictly partisan one. He has given money to Democratic Sen. Barbara A. Mikulski of Maryland and Rep. John P. Murtha of Pennsylvania but also contributed to the campaigns of Republican presidential nominee John McCain and former Rep. Tom Davis. His largest donation was $75,000 to former Del. Brian Moran, one of three people seeking Virginia’s Democratic nomination for governor. McLean. 53. After enjoying critical success producing two documentaries, Leonsis says his days as a film producer are over. Now the former America Online executive is exploring the distribution side of the film business through his newest endeavor, SnagFilms. Visitors can log onto SnagFilms to view free documentaries or embed them on Facebook pages or Web sites for others to watch. Leonsis created the $10 million venture to help documentaries reach a wider audience. Each film on SnagFilms’ Web site promotes social causes and provides links for viewers to donate to nonprofits. Leonsis also is chairman and majority owner of Lincoln Holdings LLC, a sports and entertainment company that owns several Washington, D.C., sports teams including his beloved Washington Capitals of the National Hockey League. He also is chairman of Revolution Money, a Web-based payment platform and credit card service, and Clearspring Technologies. McLean. 75. The real estate market wasn’t kind during the 40th anniversary year for Foster’s Chantilly-based company, Long & Foster Cos. The credit crunch and falling home equity took a toll on homes sales. In 2008, Long & Foster — the nation’s largest privately owned residential real estate brokerage — saw sales volume drop 26 percent from the previous year. Total sales for all Long and Foster companies, including real estate, mortgage, insurance and settlement services, was $48.9 billion, down from $61 billion in 2007. In the recent presidential election, Foster donated $28,500 to the McCain Victory ‘08 Fund for Republican candidate John McCain. McLean. 72. The chairman and CEO of Clemente Development Co. remains a major player in metro Washington’s commercial real estate market. Last year, after liquidating a substantial portion of his real estate holdings in late 2006 and early 2007, Clemente created CDC Real Estate Opportunity Fund I. The $1 billion private equity fund plans to take advantage of investment opportunities in distressed real estate assets. As a result of the recession, some building owners are expected to default on debts coming due between 2009 and 2012. Clemente plans to start deploying funds from CDC this fall to buy commercial buildings in major cities along the Eastern seaboard. The fund’s board of directors includes former Virginia Lt. Gov. Donald S. Beyer Jr., former acting Army Chief of Staff Jack Keane and Kevin J. Fay, president of one of the largest government and public affairs firms in Washington. Last fall, Clemente donated $7,000 to the successful congressional campaign of Gerry Connolly, a Democrat who represents Fairfax County. Richmond. In March, Hi-Tech Pharmacal acquired the assets of ECR Pharmaceuticals for $5.1 million in an all-cash transaction. ECR was a subsidiary of E.C. Robins, International, which is run by E. Claiborne Robins Jr., one of the directors of the family’s Robins Foundation. E.C. Robins, International also has interests in wine imports and an air charter. In 2008 the Robins Foundation gave $8 million to the University of Richmond for a new on-campus stadium and for Westhampton Center, which will serve women students; $750,000 to St. Joseph’s Villa to help fund construction projects; and $75,000 to J. Sargeant Reynolds Community College to fund the Boost Academy. The academy is a component of the school’s Middle College program, designed to prepare at-risk students for success in adult education programs. Since 2004, the foundation has given $6 million to the North Richmond Partnership for Families, an organization supporting early childhood development. The late E. Claiborne Robins Sr., who headed A.H. Robins Co., began the family’s philanthropic efforts in the late 1960s. Foundation directors include E. Claiborne Robins Jr., his mother, Lora Robins, and sisters Ann Carol Robins Marchant and Betty Robins Porter. Richmond. The Gottwald family owns a significant amount of stock in three publicly traded companies with Richmond ties — Albemarle Corp., Tredegar Corp. and NewMarket Corp. All of them trace their origins to Ethyl Corp., a Richmond company run by the family’s patriarch, the late Floyd D. Gottwald Sr. Thomas E. “Teddy” Gottwald, 48, is president and CEO of NewMarket, a holding company for two fuel-additive manufacturers — Afton Chemical Corp. and Ethyl. His father, Bruce Gottwald, 75, is chairman and a former CEO of NewMarket. Bruce’s brother, Floyd D. Gottwald Jr., 86, is a former chairman and director at Albemarle, a specialty chemicals manufacturer, which moved its headquarters from Richmond to Baton Route, La., last year. One of Floyd Gottwald Jr.’s sons, William M. Gottwald, 61, is vice chairman of Albemarle’s board. William Gottwald also serves on the board of Tredegar Corp., where his brother, John D. Gottwald, 54, is president and CEO. Tredegar manufactures film and aluminum extrusions. Floyd Gottwald Jr., a VMI alumni, established an endowed visiting professorship at VMI last year, the Floyd D. Gottwald Jr. ’43 Visiting Chair in Leadership and Ethics. Richmond. Robey W. Estes Jr., 56, is the third-generation of his family to serve as president of Estes Express Lines, one of the largest family-owned, less-than-truckload (LTL) companies in the nation. Several relatives work at the company, including daughter Carrie Estes Johnstone, son Webb Estes and cousins Billy and Steve Hupp. The Estes wealth is spread among five family groups of about 30 people. See full profile on page 16. Grundy and Bristol. James W. “Jim” McGlothlin continues as president, chairman and CEO of The United Co. of Bristol. The privately held company is one of the nation’s largest coal suppliers, but its largest division handles financial management for individuals, businesses, retirement plans and trusts. Gov. 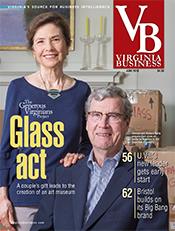 Timothy M. Kaine appointed McGlothlin to the Board of Trustees of the Virginia Museum of Fine Arts, filling a slot vacated by his wife, Fran. When the museum completes renovations in 2010, it will include a new wing named for the McGlothlins, who donated $140 million in artwork and funds. James McGlothin’s brother, Thomas D. McGlothlin, is president of the McGlothlin Foundation, known for its annual McGlothlin Awards for Teaching Excellence, one of the largest individual teaching awards in the nation. Another brother, Grundy lawyer Michael D. McGlothlin, played a leading role in founding the Appalachian School of Law and the Appalachian College of Pharmacy and serves on both boards. Upperville. Both 77. Bertram, who made his fortune in real estate and breeding horses, and Diana, a Johnson & Johnson fortune heiress, experienced highs and lows in the equestrian world last year. Their horse Genuine Risk — the only filly to win or place in all three races of the Triple Crown — died in August. She had been the oldest living Kentucky Derby winner, a title earned in 1980. On a more positive note, another Firestone horse, Winchester, named for the city near the couple’s 400-acre Newstead Farm, won the $400,000 Secretariat Stakes at Illinois’ Arlington Park last year. The Firestones support the U.S. Equestrian Team Foundation and are active on the equestrian circuit. Great Falls. 49. Ramsey is founder and managing general partner of Ramsey Asset Management LLC, a private hedge fund based in McLean. He also is a former director of Arlington-based Friedman, Billings, Ramsey Group, a real estate investment trust he co-founded in 1989. Ramsey continues to serve as a director of JER Investors Trust Inc., a specialty finance company based in McLean. He and wife Norma support several philanthropic causes through their foundation, including the Ramsey Family Scholarship Fund. It has donated more than a quarter of a million dollars to full-tuition scholarships for at-risk students in the D.C. area. Ramsey also is also active at his alma mater, George Washington University, where he serves as chairman of board of trustees. Richmond. Entering its 122nd year, family-owned C.F. Sauer Co. opened up a new global market recently, selling mayonnaise in Wal-Mart and Sam’s Clubs locations in Mexico. “Mayonnaise is a larger staple down there than it is here,” says Mark Sauer, executive vice president of sales. C.F. Sauer, which introduced redesigned packaging and a newly patented spice rack system in grocery stores last year, has weathered the recession well, with no layoffs. Notes Sauer: “If you’re sitting down making up a budget, you probably wouldn’t say we’re going to cut out mayonnaise or black pepper. … Consumer package goods are pretty stable.” Mark Sauer’s elder brother, Conrad F. Sauer IV, is president, CEO and chairman of the board; their brother Bradford is vice president of real estate, and Tyler Sauer leads plant scheduling. Retired family patriarch Conrad “Connie” F. Sauer III is chairman emeritus. The company has about 900 employees and reportedly brings in annual revenues of $295 million. It’s the nation’s largest private-label mayonnaise and salad-dressing manufacturer, making 600 products, including extracts, seasonings and gravy mixes. Charlottesville, East Hampton, N.Y., and Rancho Santa Fe, Calif. 83. A philanthropist, Scripps has chaired the Candlelight Ball for Scripps Hospital in La Jolla, Calif., for the last six years, donating more than $1 million each year. The event has raised more than $13 million during that time. Scripps and her late husband, Edward W. Scripps, sold Scripps League Newspapers in 1996. She now serves as executive officer of Charlottesville-based Scripps Enterprises Inc, a private firm with holdings in real estate, oil and gas. Scripps established the Scripps Library at the Miller Center at the University of Virginia. The Scripps League Newspapers Education and Research Fund provides financial assistance to journalism students at various universities. In 2007, the fund had assets of $11.7 million. Arlington. 81. Rosenthal is CEO and chairman of Rosenthal Automotive Organization, a privately owned chain of 19 auto dealerships in the Washington, D.C., area. Despite the recession, sales are down only 9 percent from last year, says Donald Bavely, the company’s president and COO. In fact, the company is negotiating to purchase three more dealerships. Rosenthal has helped about 25 of his managers become dealers. He serves on the Trustees Council of the National Gallery of Art and on the boards of Geneva Enterprises Inc., The Coffin School (Nantucket) and the Nantucket Shipwreck and Lifesaving Museum. He has pledged more than $6 million to charities, including California’s Eisenhower Medical Center, the Smithsonian National Air & Space Museum, Temple School, the National Gallery of Art and the Washington National Opera. Bristol. The former owners of Nicewonder Coal Group in Bristol have focused on real estate and philanthropy since selling their company to Alpha Natural Resources in 2005. Brothers J.D. and Don are charter members of the Ut Prosium Society, a group of Virginia Tech donors who have contributed $100,000 or more to the school. They also have supported the University of Virginia’s Wise campus. In 2008, J.D. and his wife, Lorraine, were members of the campus’ Washington Society, for donors who contributed between $5,000 and $10,000. Don and his wife, Etta, were members of the Darden Society for donors giving $25,000 and above. In 2008 alone, Nicewonder family members contributed more than $160,000 to John McCain’s presidential campaign. McLean. 57. It has been a tough year for Robert, one of the Washington region’s high-profile business and charitable leaders. The founder of J.E. Robert Cos., a commercial real estate and global investment firm, underwent brain surgery in February. The following month the New York Stock Exchange suspended the stock of subsidiary JER Investors Trust after its average market capitalization fell below the minimum standard of $15 million over 30 days. The shares now trade on an over-the-counter exchange. JER lost $254 million last year, in part because of a drop in revenue from the mortgage-backed securities market and reported a net loss of $18 million for the first quarter. A well-known philanthropist, Robert founded Fight for Children, a nonprofit that has raised $460 million since 1990 for underprivileged children. Robert serves as a trustee on the Kennedy Center Performing Arts Board. Alexandria. 49. Morris, a native of Great Britain, teamed up with fellow Virginia 100 regular Richard Fairbank to create McLean-based Capital One Financial Corp. in the 1990s. He was president, COO and vice chairman until his 2004 departure. Morris has been a close friend and adviser to Sen. Mark Warner, also of Alexandria. Both men are involved with Venture Philanthropy Partners (VPP), a Washington, D.C.-based charity that helps develop nonprofits in the D.C. region to improve the lives of children from low-income families. Alexandria. 54. U.S. Sen. Mark Warner placed his assets in a blind trust several years ago, but if he were going to invest today, he’d put money into alternative energy. “There have been massive amounts of capital moving into the energy space. I still think it’s one of the best sector bets to make,” says the former Virginia governor who made his fortune as a pioneer in cellular phones. Elected last year to fill the seat of retiring Republican Sen. John Warner, Democrat Mark Warner is in the thick of the Obama administration’s response to the economic downturn. He serves on the Senate Commerce, Budget and Banking committees and has been spending most of his time on banking. Warner is also involved with Venture Philanthropy Partners (VPP). The Washington, D.C.-based charity helps develop nonprofits that improve the lives of children from low-income families in the region. Blacksburg. 75. Before the financial markets soured, HHHunt Corp. was poised to expand its home construction business to Charleston, S.C. 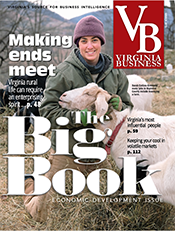 The Blacksburg-based real estate and development company already has expanded into Richmond, Hampton Roads and Raleigh, N.C. “We’ve put large land development programs on hold and will wait and get over this recession,” says Hunt, the company’s founder and chairman. Despite the housing downturn, the company continues to thrive in other areas. It’s just completing about 1,200 multifamily rental units in five developments from Maryland to South Carolina. Eastville. 60. New construction projects may seem increasingly rare these days, but real estate development company Armada Hoffler has plenty in the works. The company is continuing work on the $225 million Proton Therapy Institute for Hampton University and Harbor East development on Baltimore’s Inner Harbor. The project will include two towers: the Four Seasons Hotel & Residences and the Legg Mason Office Tower. Plus, Armada Hoffler is building a 15-story office building in downtown Richmond. The law firm Williams Mullen will be the main tenant. Hoffler founded the company in 1979 and remains chairman. Most of his wealth is wrapped up in real estate. Newport News. Lloyd U. Noland III, 66, sold the family business in 2005 to Dayton-Ohio-based WinWholesale Inc. for $250 million. He serves on the board of trustees of the Virginia Historical Society and on the board of directors of the Jamestown-Yorktown Foundation. His father, Lloyd Noland Jr., serves as president of the Noland Memorial Foundation. It pledged $1 million to Children’s Hospital of The King’s Daughters for the Noland Surgery Center. Located at the Oyster Point Outpatient Health and Surgery Center in Newport News, the center performs an estimated 1,500 surgeries a year. Other organizations receiving donations include the Virginia Living Museum, Jamestown-Yorktown Foundation and the Girls/Boys Club of the Virginia Peninsula. Richmond. 62. The quintessential retailer was recognized for his talents when he was named to the Consumer Electronics Hall of Fame in October. Since 2005, Sharp has served as chairman of the board of directors of Crocs Inc., a footwear retailer. He’s the retired chairman of used car-retailer CarMax Inc., which established a new model for selling used cars. Plus, Sharp is a former CEO of Circuit City, the country’s former No. 2 electronics retailer. It filed for bankruptcy and went out of business this year. Last fall, Sharp retired from the board of directors of Singapore-based Flextronics Inc., a leading electronics manufacturing services provider. Sharp chairs the University of Virginia Health Foundation’s board of trustees and serves on the board of the Boys and Girls Club of Metro Richmond. He has donated nearly $32,000 to Virginia Republican gubernatorial hopeful Robert McDonnell, $10,000 to Republican attorney general candidate Kenneth Cuccinelli, and $10,000 to Republican Lt. Gov. William Bolling, who is seeking re-election. Richmond. This year brought change to family-owned Ukrop’s Super Markets Inc. James E. “Jim” Ukrop, 72, stepped down as chairman, making brother Robert S. “Bobby” Ukrop, 63, CEO and chairman. Known for its philanthropy, Ukrop’s responded to the 2008 spike in gas prices with a program that offered discounts on gas for every $50 in groceries purchased. Last year saw the closing of two stores — in downtown Richmond and Williamsburg — leaving 28 locations across Virginia. The Ukrop family is the majority owner of First Market Bank. It’s merging with Union Bankshares Corp. of Caroline County in a $105 million deal that will create Union First Market Bankshares Corp. The Ukrop brothers remain influential in area politics and business. Since 2007, Jim Ukrop has contributed $20,000 to Brian Moran’s Democratic gubernatorial campaign — which is gearing up for this month’s primary. Richmond. Family-owned Weinstein Properties owns and operates some 12,000 apartments in Virginia and North Carolina, among other real estate holdings. Marcus Weinstein is chairman and CEO, and his wife, Carole, serves as vice chairman. Construction continues on the Carole Weinstein International Center at the University of Richmond. The $18 million building should be ready by fall 2010. Carole Weinstein pledged $9 million for the project. Carole also donated money this year to Democratic and Republican politicians. According to the Federal Elections Commission, she gave $2,300 to the Obama for America campaign. Weinstein Properties also donated $2,300 to Eric Cantor’s successful campaign for re-election to Congress. Cantor, a Republican from Henrico County, serves as the Republican Party whip. Allison Weinstein is company president and COO and serves on the board of trustees for the University or Richmond. Her husband, Ivan Jecklin, is the company’s general counsel and executive vice president. McLean. 45. The real estate market might be slow, but Mody was able to sell a custom-built, riverfront home in McLean for $16 million in March. The eight-bedroom, 11-bathroom Parisian-style mansion spent only a few weeks on the market before the Embassy of Qatar bought it. Apparently, Mody and his family never moved in. In 2002, Mody sold his technology services firm, Signal Corp., for $227 million, taking an estimated $125 million from the sale. Mody has spent his retirement advising startup companies and pursuing philanthropic pursuits through The Mody Foundation. He serves on the board of the Potomac Officers Club. McLean. 60. Akerson is a managing director at The Carlyle Group and heads the company’s U.S. Buyout Fund. Carlyle last month agreed to pay $20 million to New York State to resolve its connection with an investigation into possible corruption at New York’s pension fund. The company said it was unaware of misconduct by the broker it hired to seek potential investments in the pension fund. Carlyle said it will sue the broker, Searle & Co., for more than $15 million in damages. News hasn’t been all bad for Carlyle. The company completed raising its first Middle East and North Africa fund in March, dubbed Carlyle MENA Partners, raising equity commitments of $500 million. In April 2008, Akerson donated $28,500 to the McCain Victory Committee. Fairfax. 62. Kaarlgaard started out as an electrical engineer in federal research labs. In 1985, he co-founded PEC Solutions Inc., a government IT company that he later sold to Nortel Networks Corp. for $449 million. Karlgaard owned 24 percent of the company at the time of the sale in 2005. He holds a doctorate in electrical engineering and computer science from George Washington University, where he is an adjunct professor. Karlgaard also serves as a director at Argon ST Inc., a Fairfax-based systems engineering firm in which he holds about $1.9 million in stock. Married with two grown children, he enjoys golfing and traveling. Charlottesville. 61. Jim Murray is the founder and managing general partner of Court Square Ventures, a private equity venture capital firm that manages some $160 million and invests in early-stage communications, information technology and media technology industries. One of Court Square’s holdings, CSTV Networks Inc. — a multiplatform media network dedicated to college athletics — was sold to CBS Corp. for $325 million. Murray presently serves on the board of directors of Mintera Corp., Labrador Communications and Imagine Communications. Murray started his career as an elementary school teacher, and later was an early wireless telecommunications pioneer and co-founder of Alexandria-based Columbia Capital Corp., a large venture capital firm with $2 billion in investments. Spotsylvania County. The Meadows family’s net worth dropped by $10 million in response to the stock market’s big drop, but that didn’t stop them from expanding their business. Betty and Farmer Meaodows, both 74, are still very active in the nursery industry. They recently opened a fourth location in the Fredericksburg area in Massaponax. The price tag for the property and garden center was $2.4 million. The couple owns Meadows Farms, Meadows Farms Landscaping and Meadows Farms Golf Course in Orange County. They have 26 nurseries around Northern Virginia in addition to an 850-acre farm that raises beef cattle. Last year, the Meadowses opened their first West Virginia location in Charles Town for $1.3 million. Son Jay Meadows, 47, serves as president of Meadows Farms. Danville. 73. Buchanan, who first joined the Virginia 100 in 2008, says his net worth increased $9 million over the past year. He credits his good fortune to $16.2 million dollars worth of condominium sales in Myrtle Beach and a strong rental market there as well. Many of the sales in 2009 have been foreclosures and short sales, he adds. Buchanan got into real estate development in South Carolina after selling Danville Plywood Corp. in 1996. The condos that have not sold are rented under Dunes Village Properties LLC. Buchanan spends time in Danville and Myrtle Beach. He supports several charities including the Danville Rescue Squad and the Richmond-based Families of the Wounded Fund Inc.
Roanoke. In November, the $68 million Taubman Museum of Art opened to the public in downtown Roanoke. The 81,000-square-foot museum’s strikingly contemporary design, by Los Angeles architect Randall Stout, features an undulating stainless steel roof and layered forms of zinc and glass. Nicholas F. Taubman, 74, who served as U.S. ambassador to Romania from 2005 to 2008, and his wife, Eugenia, contributed $15 million to the project. Eugenia is chairperson of the museum’s capital campaign and a member of its board of trustees. Nicholas is the retired chairman of Advance Auto Parts, the nation’s second-largest automotive parts retailer. Reston. 53. Saville is president and CEO of NVR Inc., one of the country’s largest home-building and mortgage banking companies. With the economy suffering through a credit crunch and housing slump, 2008 was a tough year for the company. It reported a net loss of $30.5 million for the fourth quarter, primarily because of a $109.8 million write-down on the value of its land deposits. Revenue for 2008, $3.7 billion, was 28 percent lower than 2007. In addition, fully diluted earnings per share for 2008 were $17.04, down 69 percent from 2007. In February, Saville joined other NVR directors and executives in selling large blocks of the company’s shares. Saville sold 10,301 shares acquired through stock options for $3.8 million. Saville’s options were set to expire on May 25. HIs net worth on the 2008 Virginia 100 list was $233 million. Richmond. Business has fallen off at resort properties during the economic downturn, says Bill Goodwin, chairman of Richmond-based CCA Industries — a diversified holding company that owns resorts and hotels. Still, the company’s properties, The Jefferson Hotel in Richmond, Hermitage Hotel in Nashville and The Sanctuary at Kiawah Island Golf Resort in South Carolina, all earned the coveted Mobil Travel Guide’s five-star rating again this year. Goodwin and wife Alice are noted philanthropists. During the recession, Goodwin says wealthy philanthropists will be less focused on fancy fundraising balls than in providing aid to families hurt by job losses. “Some of us are talking to our churches and ministers because they tend to see it probably firsthand,” he says. This year Goodwin also donated $3,000 to the successful re-election of Rep. Eric Cantor (R-Va.). Richmond. 80. Country music/TV legend Jimmy Dean and his wife, Donna, survived the economic downturn, only to narrowly escape an April house fire that gutted their $1.3 million riverfront home in Henrico County. Three firefighters suffered injuries, as well as the Deans’ caretaker, who rescued memorabilia including the Muppet dog Rowlf (handmade by Jim Henson) that appeared on Dean’s 1960s ABC variety series. A Country Music Hall of Famer, Dean lost many photos, gold records and his prized possession: a centennial model Yamaha baby grand piano. His portfolio, though, managed to survive this year’s economic crisis. Dean’s wife Donna says the couple divested real estate and hotel holdings before the recession clobbered such holdings, and invested heavily in munis. “You can’t go wrong with them,” she says. Richmond. 54. Like a lot of business owners, the president of Lingerfelt Cos. has seen the recession slow his business. 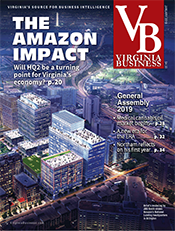 In the last three years, Lingerfelt’s private development company acquired and developed 900,000 square feet of commercial real estate throughout Virginia, primarily in biotech labs and medical and professional office spaces. “Now there’s been a dramatic slowdown in development and acquisition activity,” he says. “We’re working with our tenants as best we can because a lot of them are teetering on shutting down.” Lingerfelt still is looking for acquisition opportunities, though. “When prices drop enough, we’ll be buyers,” he says. 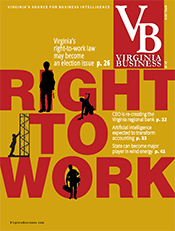 Lingerfelt serves as a board member at his alma maters, Virginia Tech and Virginia Commonwealth University, where he also has endowed scholarships. Fairfax, 72. The owner and CEO of The Peterson Cos. — one of the largest privately held development companies in the region — was named to the Washington Business Hall of Fame last fall. In April, Peterson also celebrated the one-year anniversary of his largest, signature project: National Harbor. 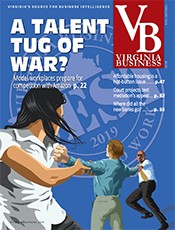 The massive mixed-use development on the shores of the Potomac in Oxen Hill, Md., has faced some setbacks during the economic downturn but still continues to take shape with businesses signing leases for office space. The first phase of the development included the opening of the Gaylord National Resort and Conference Center, the largest combined hotel/convention center on the East Coast. McLean. 44. Saylor has served as MicroStrategy’s CEO and chairman since he founded the company in 1989. Revenues for the McLean-based business intelligence software provider rose from $350 million to $360 million last year. Saylor owns more than 2 million of the company’s shares, and he took a big hit in net worth with the value of his shares dropping 56 percent from $219 million to $96 million over the past year. Earlier this year, MicroStrategy launched its biggest software release in nearly a decade, and it also developed an information dashboard for tracking U.S. Recovery Act funds. Saylor supports the arts, education and charitable organizations through his foundation and individual gifts. Falls Church. 66. 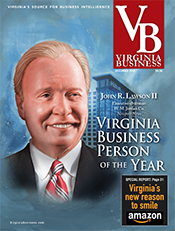 The CEO of General Dynamics Corp. was Virginia Business magazine’s 2008 Virginia Business Person of the Year. Chabraja plans to step down as CEO this summer but will remain chairman of the board until May 2010. The executive saw a big drop in the value of his company stock holdings over the past year — from $297 million to $90 million. While defense contractors are receiving plenty of work under Obama’s government-expanding administration, some of Chabraja’s $7.6 million in stock options granted in 2008 are under water. Plus, with the equities market way down during the worst of the recession, the value of the company’s stock has gotten as low as $35.28, way off its high-water mark of $95.13 for the past year. Richmond. 69. The former secretary of the U.S. Treasury and former CEO and chairman of CSX remains heavily involved in business as chairman of Cerberus Capital Management LP, one of the largest private equity investment firms in the country. The New York City-based company took over Chrysler in 2007, paying $7.4 billion for an 80 percent equity stake, only to see the automotive giant file for bankruptcy protection this year. Despite the blowup, Cerberus held on to its ownership of Chrysler Financial, the unit that will service the automaker’s existing loans, so there is hope that the financing side of the business will soften the blow. Snow received the 2008 Charles Waldo Haskins Award from New York University’s Leonard N. Stern School of Business for his achievements in business and public service. He serves on the board of directors for Marathon Oil Corp. and Verizon Communications Inc.
Norfolk. 68. Three years after retiring as CEO of Norfolk Southern Corp., Goode continues to serve as a director on several other corporate boards and to support the arts. A member of the board of trustees for the Chrysler Museum of Art in Norfolk, he and his wife, Susan, recently loaned the museum selections from their extensive collection of 20th- century prints by such noted artists as Andy Warhol and Roy Lichtenstein. The Goodes were named one of 10 recipients of the Governor’s Awards for the Arts in 2008. It’s a good time to be out of the railroad business. Norfolk Southern reported that first quarter profit fell 39 percent due to a plunge in freight volume. Vienna, 62. The CEO of Mooring Financial Corp., Jacquemin is among a few financial managers who saw gains in their hedge funds during the past year. Mooring Intrepid Opportunity Fund LP, a fund Jacquemin formed in 2007, realized a 56.6 percent gain in 2008. For the two-year period from its inception in March 2007 through Feb. 28 of this year, the fund delivered a net gain to investors of 222 percent. Jacquemin’s secret? A macro view of the economy. “We laid out a road map in 2006 that said there were tremendous excesses in the credit and real estate markets and thought there would be significant corrections and the economy would weaken substantially … ,” says Jacquemin. He expects the economic outlook to improve in 2010. Richmond. A Robert E. Lee look-a-like with a love for Harleys, Ivor Massey Jr., 61, runs Triad LC, a Shockoe Bottom-based firm that oversees the family fortune that his investment-savvy grandparents and parents bequeathed to Massey and his siblings. Triad possesses half of Rapidan Capital, a loan management firm that maintains the family’s diversified investment portfolio. Triad recently sold Gyrus Communications, a firm that produced training software and was a division of the bankrupt Experient Technologies, which Triad had acquired. At present, Massey is considering a move to join a group of investors who have contracted for a new minor league baseball team to replace the Richmond Braves. A community-minded philanthropist, Massey became chairman of the J. Sargeant Reynolds Community College Foundation this year. The Plains. After 25 years Arthur W. “Nick”Arundel, 80, founder of the Great Meadow Foundation, stepped down as chairman. Great Meadow, an 800-acre tract near The Plains, hosts the Virginia Gold Cup, one of the premiere steeplechase sports events in the country. Arundel left to spend more time as chairman and CEO of the Journey Through Hallowed Ground, which seeks to protect and preserve historic between Gettysburg, Pa., and Monticello near Charlottesville. He continues as chairman of ArCom Publishing and its subsidiary, Times Community Newspapers. 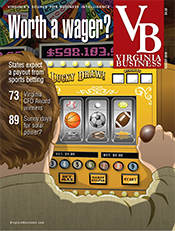 The Northern Virginia media company has six contiguous weeklies with a combined circulation of nearly 250,000. Arundel’s son, Peter, has run the group for more than 10 years. Winchester. The Byrd family newspapers did what few print publishing companies have done recently — tried to expand. Last August, the Winchester Evening Star Inc. purchased the Clarke Times-Courier from Leesburg-based Times Community Newspapers. In May, however, the company stopped production of the weekly newspaper because of low advertising sales during the recession. The Byrd family publishes newspapers in the Shenandoah Valley, including The Winchester Star. Thomas T. Byrd is president and publisher of the company, the Winchester Evening Star Inc. His father, Harry F. Byrd Jr., 94, served 18 years in the U.S. Senate. Another son, Harry F. Byrd III, is chairman of the board of the Winchester Medical Center. The Byrds are active in local and statewide philanthropic pursuits. Richmond. Alexander B. McMurtrie Jr., 72, and his wife, Margaret Hillenbrand McMurtrie, 71, continue to support education through gifts and scholarships to the McMurtries’ alma maters — Georgetown University Law School and the University of Notre Dame. They have also given $25,000 to $49,999 to Hannah & Friends, a nonprofit that provides funding for grants to families that care for children and adults with special needs in Indiana, New York and Rhode Island. The couple had substantial investments in the former Hillenbrand Industries, an Indiana company founded by Margaret McMurtrie’s grandfather. Last year, the company was divided into Hillenbrand Inc., the parent company of Batesville Casket Co., and Hill-Rom Inc., which makes health-care products. Virginia Beach. 79. Robertson, co-host of “The 700 Club,” serves as chairman of the Christian Broadcasting Network. He also is president of Regent University but plans to retire next year. His son, Gordon Robertson, took over as CEO of CBN in 2007 after his father stepped down. Robertson says his net worth has dropped by $100 million as a result of the recession. The tough economic conditions for American families prompted Robertson to write a new book, “Right On the Money: Financial Advice for Tough Times.” In it he says “insufficient knowledge about personal finances, combined with an era of uncontrolled spending based on self-indulgence, has led to a massive economic disaster.” Robertson also is concerned about the environment. His company, Earth Friendly Chemicals, produces a broad-range of environmentally friendly de-icers and disinfectants. Albemarle County. 59. In October, Kluge attended groundbreaking ceremonies for the Kluge-Moses Science Building at Piedmont Virginia Community College. The building will support a wide range of science study, from health programs to viticulture and the study of wine making. The Kluge-Moses Foundation contributed $1.2 million to the school in 2005. Other recipients of the foundation’s gifts include the Washington National Opera where Kluge is a board member. Kluge is owner and chairman of The Kluge Estate Winery and Vineyard. It recently released its 2008 Albemarle Rose. Kluge now has 220 acres planted with plans to move up to 300 acres in another two years, which would make the vineyard one of the largest on the East Coast. Husband William Moses is the winery’s CEO. Middleburg, 77. The president of Ballenger Enterprises Inc., a real estate development company, now focuses on his Middleburg Angus cattle ranch, Brigadoon Farms. Brigadoon Farms raises commercial cattle and is home to several Thoroughbred race horses, which compete in races up and down the Eastern seaboard. Richmond. 73. These days the retired CEO and chairman of the board of Dominion Resources Inc. spends much of his time traveling, including a recent trip to China. He also advises several corporate boards and serves on the board of visitors for The College of William & Mary. Capps owns more than 1 million shares of Dominion stock and by his own reckoning “not quite enough tax-free municipal bonds.” Over the last year, Capps reports a $5 million drop in net worth, no surprise since Dominion’s stock has fluctuated from a high of $48.50 to a low of $27.15 in March. The Richmond-based Fortune 500 energy company reported a drop in net income of nearly 64 percent — from $680 million to $248 million — in the first quarter, primarily because of one-time charges. 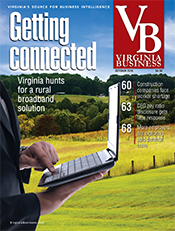 Bristol and Wellington, Fla. Johnson, 43, heads Johnson Commercial Development, one of the largest commercial development firms in Southwest Virginia. An avid competitor, Johnson recently started his fifth season in the Rolex Series sanctioned by Grand Am, which is owned by NASCAR. One of the drivers of the No. 88 Porsche, Johnson helped teammates finish seventh in class for Farnbacher Loles Racing in the Rolex 24, a 24-hour endurance test, at Daytona, Fla., this January. “I’m just really proud of this finish,” he says. Johnson has been in the top-10 four times in eight starts. A former professional athlete, he played football for the Dallas Cowboys and New England Patriots. Chester. 54. Williams is CEO of Star Scientific Inc. The company, which claims to develop tobacco products that produce fewer carcinogenic toxins, may be facing a jury trial in lawsuits against RJ Reynolds Tobacco Co. for infringement of the StarCured curing process. Williams is the inventor of the StarCured tobacco-curing process and one of the founders of Star Tobacco Inc. Star Scientific has been in the red for several years. Winning the infringement case could help the company turn losses into gains. The company has reportedly pulled in nearly $100 million from investors who are gambling that Star Scientific will win. Alexandria. 56. The founder and former CEO of Bradson Corp. has focused on philanthropic activity since he sold Bradson to Kforce Inc. for $73 million in 2006. Bradley says his investments are performing fairly well “since I was in a capital preservation mode with the objective of not losing money.” His strategy for investing in a recession? “Conserve capital, minimize bad decisions, and find and invest in significantly undervalued stocks, assets and ideas that will generate profits and appreciate in the future.” Last year, the Ronald M. Bradley Foundation Inc. donated to a variety of nonprofit organizations, including the National Gallery of Art, the Capital Area Food Bank, Senior Services of Alexandria and the Animal Welfare League of Alexandria. Richmond. 59. Vice chairman of the Markel Corp. — a title he shares with first cousin, Anthony F. Markel. An international property and casualty insurance holding company based in Richmond, Markel Corp. achieved an underwriting profit for 2008 despite $95 million in hurricane losses. Active in the community, Markel serves on the board of directors for the VCU Health System and the CenterStage Foundation. He is also a board member for the ChildFund International. He contributed $10,000 to attorney Robert Grey’s unsuccessful campaign for Richmond mayor. His net worth on the 2008 Virginia 100 list was pegged at $113 million. Winchester, 63. Brandt, the former CEO and chairman of American Woodmark Corp., has been a powerful force in his adopted hometown. He and his wife, Elaine, are long-time supporters of Shenandoah University. In September, the university dedicated the Brandt Student Center in their honor, a new 40,000-square-foot, $8.53 million facility. Brandt joined Shenandoah’s board of trustees in 1985, where he still serves. He also sits on the Harry F. Byrd Jr. School of Business board of advisers and is the school’s executive-in-residence. In addition, he is a director on the board for Project HOPE (Health Opportunities for People Everywhere) and for Valley Health and its Winchester Medical Center. Richmond. 58. Since retiring in 2006 as founding president and CEO of CarMax Inc., the nation’s largest used-car retailer, W. Austin Ligon has been spending his time sitting on university boards, angel investing and traveling. In the last year, Ligon, his wife, Pan, and their three children traveled to China, India, South America and Germany. They also trekked to Thailand to watch their youngest daughter, Nina, a champion equestrian, compete in the South East Asia Games for Thailand. (She holds dual citizenship.) In a business capacity, Ligon sits on the board of Panera Bread Co. and some smaller private firms. Ligon also likes investing in promising startup ventures. Ligon estimates that he spends about a third of his time serving on higher education boards. He sits on the University of Virginia’s board of visitors and on the boards of the U.Va. Investment Management Co., the Yale School of Management and Johns Hopkins University’s Center for Talented Youth. Virginia Beach. 67. In a recession, customers ditch luxury buying and return to the basics. That trend is helping to boost sales at Dollar Tree stores, where Brock continues as chairman. 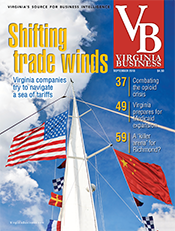 The Chesapeake-based retailer saw comparable store net sales increase by 4 percent in 2008. Indeed, Brock is among a handful of executives who saw the value of his company-owned stock rise over the past year — from $45 million to $55 million. He will step down from his role as chairman of Randolph-Macon College’s board of trustees on June 30. A 1964 graduate, Brock and wife Joan are longtime supporters of the Ashland college. This year, the Brocks established the Macon and Joan Brock Professorship in Psychology to recognize a senior member of Randolph-Macon’s psychology department for exemplary teaching and scholarship. Richmond. 67. Markel has moved from full-time to part-time employment with Markel Corp., where he serves as vice chairman of the Richmond-based specialty insurance firm. With the change in employment status, Markel’s base salary was reduced to $150,000 per year. He continues to focus on corporate strategy and special projects. For 2008, the company reported a net income loss of $58.7 million compared with net income of $405 million in 2007. However, the company achieved an underwriting profit for the year despite $95 million in hurricane losses and a difficult underwriting environment. On the political front, Markel contributed $10,000 to Robert Grey’s unsuccessful campaign for mayor of Richmond last year. 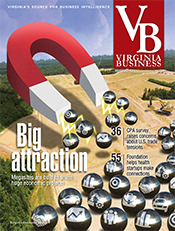 Markel’s net worth was $95 million on last year’s Virginia 100 list. McLean. 61. The president of NVRM, the mortgage and finance subsidiary of NVR Inc. saw business decline last year as the recession continued to take its toll on the homebuilding industry. NVRM, which originates mortgage loans almost exclusively for NVR’s home buyers, closed approximately 8,600 loans in 2008, down from 10,600 in 2007. The aggregate principal amount for the loans declined as well, to $2.4 billion in 2008, compared with $3.2 billion in 2007. In addition, operating income for the mortgage banking operations decreased. Inman beneficially owns nearly 100,000 shares of the company’s stock. Their value was about half as high as the previous year when Inman’s net worth was pegged at $94 million.